With the warring father and son continuing to force the issue once and for all in Samajwadi politics, it’s time we look ahead and gauge the popular mood four months before the crucial elections in this beleaguered state: If the father and the son fight the elections together under the banner of a united Samajwadi Party, chances are that they may not win more than 75 seats in the 404 member UP Assembly. The overall stock of the war-torn party has plummeted too low by now. If Akhilesh Yadav fights the elections alone, breaking away from his father’s party, he might get more than 125 seats. In public perception, he stands taller than his father. Mind you, the son has been carrying the tag of a “bechara chief minister” for too long. This bechara tag gives him a huge advantage over all his intra-party adversaries. Already, he has earned a lot of sympathy, cutting across caste and communal lines. It’s all too true to be wished away. And if the chief minister’s new political outfit enters into a “mahagathbandhan” with the Congress, Rashtriya Lok Dal, Janata Dal (United) and one or two smaller parties, chances are that UP would witness Bihar-type results, drowning the BJP and, maybe, even the BSP. Needless to say that Mulayam Singh Yadav’s original Samajwadi Party would suffer the most in this scenario. The above assessment is, in fact, based on conversations with some district-level journalists and active political workers in the countryside. Believe it or not, compared to our psephologists, they ususally don’t go wrong. They do know which way the wind is blowing. But what would happen if, failing to find alliance partners, Akhilesh battles it out all alone? And who would be his main challenger? 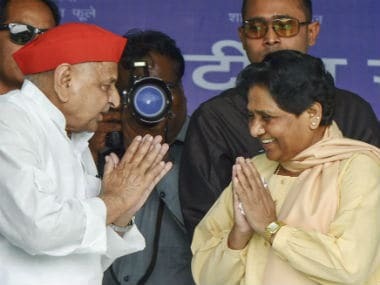 Obviously, it would be Mayawati in a five-cornered contest. And the BSP might reach the near majority mark in this scenario with Akhilesh forming the main Opposition in the new House in 2017. Let’s leave the hypothesis aside for a moment and, instead, focus on the developments on the day. Party general secretary, Ramgopal Yadav has lobbed yet another letter bomb this morning making the life of those in the anti-Akhilesh camp even more miserable. Addressing “pyare saathiyon”, Ramgopal said in his letter: “Those who are supporting Akhilesh Yadav are those who have spilled blood for the party, and those who are opposing him are those who have been busy minting money and misusing power”. 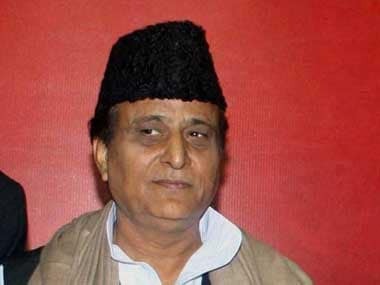 Do you still nurture doubts over the future of the Samajwadi party? All attempts by some ‘old party loyalists’ to forge unity between the warring factions failed last night. Quite predictably. And today on his birthday, Akhilesh is holding a meeting of party legislators. What makes this meeting even more significant is the fact that Chacha Shivpal Yadav and some of those who don’t see eye to eye with the chief minister have not been invited in today’s conclave. Things have gone too far, the point of no-return having been reached. Already, a formal announcement of a vertical split is awaited. What else? 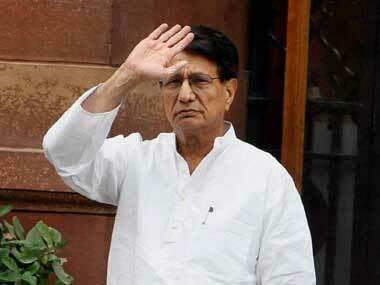 Recurrence of splits in Samajwadi politics has been a norm rather than an exception in India. 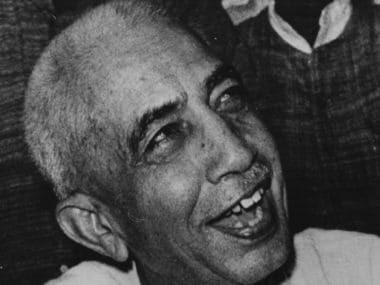 All you need to do to recall past splits is to remember some of the names: Congress Socialist Party (CSP), Praja Socialist Party (PSP), Samyukta Socialist Party (SSP), Bharatiya Kranti Dal (BKD), Bharatiya Lok Dal (BLD), Dalit Mazdoor Kissan Party (DMKP), Lok Dal, Lok Dal (A), Lok Dal (B), Lok Dal (C), Rashtriya Lok Dal (RLD), Rashtriya Janata Dal (RJD), Janata Dal United (JD-U) and Samajwadi Party (SP). And so on and so forth. 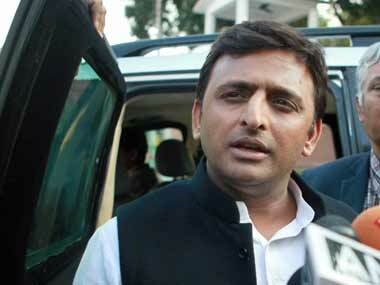 What remains to be seen is whether the SP now breaks into SP (Mulayam) and SP (Akhilesh). And how soon? 1. “Samajwadi Party LIVE: Akhilesh shows he’s boss, sacks Shivpal Yadav from UP Government”. The state Governor, Ram Naik, is keeping a close watch on the developments. You never know, he may have to intervene. Sooner rather than later. The next 48 hours are crucial. And the birthday boy, Akhilesh, appears to be at his smiling best.